Each of these pillars has an important role to play and the stronger each of them is the better your overall relationships will be. Today, let’s talk about Pillar #2: Being Easy To Do Business With. If you want to build strong customer relationships, you have to make sure that it’s as easy as possible for people to deal with you. You are in business to take care of your customers and make their life easier so there are some fundamental issues you have to get right as part of that process. The first element of that is that you need to be easily accessible to your customers. They should be able to contact or visit you when and how it is most convenient to them. It sounds simple but the key to happy customers is often as basic as returning calls, answering e-mails, and addressing complaints promptly. It is basics like these that sustain long-term relationships. But, when you fail in the basics, any extras you deliver will count for nothing. My support team knows I expect all customer inquiries and problems to be addressed within twenty-four hours if at all possible. They are proud to measure up to that standard. However, things go wrong in even the best run businesses and the occasional problem or complaint can actually be an opportunity to create a lifetime fan. You need to be ready to react quickly to put things right. While we all need the help of technology to make systems smoother and more efficient, you never build trust and strong relationships if you always hide behind automated systems and voicemail. When you put the focus on people over technology, you will strengthen the bonds between you, your employees and your customers. If people feel they have some sort of personal contact available, the trust and relationship will be stronger. If you want to make things easy for your customers, you need to avoid setting up rules and procedures that are designed to make life easy for you rather than for them. Doing that can often create blocks and obstacles for customers who would otherwise be ready to give you money. For example, most of our customers want to take test rides before they buy an auto. That’s perfectly reasonable. However we once had a car stolen during a test ride, and our insurance company started bringing in additional policies to help avoid theft. They sent us new rules and conditions that had to be mounted next to the front desk. As a result of the new policy, customers who wanted to take a test ride had to leave a credit card or driver’s license. I saw this as an overreaction to a rare situation and believed it would become an impediment to doing business. For me, the idea of creating policies and procedures to combat the tiny percentage who might seek to take advantage of me makes it more difficult for the vast majority. Of course, you need to be sensible as a business owner but you should design your business as much as possible to make things easy for the people who want to give you money. If you make it easy for people to do business with you, and if you are polite and courteous, you will have happy customers. If you go just a few extra steps to make your customers’ experiences with you memorable, they will be singing your praises from the rooftops! 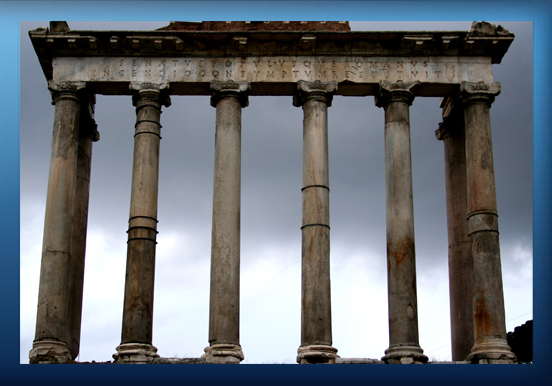 – Stay Tuned For Strong Customer Relationships: The Six Pillars/Part Three. Coming Soon.